The Grayrocks Wildlife Habitat Management Area is seven miles south of Guernsey and nine miles northeast of Wheatland along the Laramie River. There is a dam and reservoir along the Laramie River that supplies cooling water for the Laramie River Power Plant. Through a cooperative agreement between the Wyoming Game & Fish Commission and the Missouri Basin Power Project, these lands are being managed for optimum public recreational activities and to maintain or improve present wildlife habitat. The average elevation of this area is 4,500 feet, with plains, rolling hills, sharp breaks and cliffs. To the west, the land rises gradually for about five miles to the Laramie Range, which rises abruptly to elevations of 9,000 feet. Laramie Peak, the highest peak in the mountain range, stands at 10,272 feet. This 3,500-acre reservoir provides opportunities for fishing, boating, swimming and water skiing. Public facilities, including parking areas, vault toilets and boat ramps, are provided on the south side of the reservoir. Boaters should be cautious, because the area is subject to high winds that can make boat navigation difficult. Overnight parking or camping restricted to the major parking areas. The north shore may also be used for overnight camping by boaters. 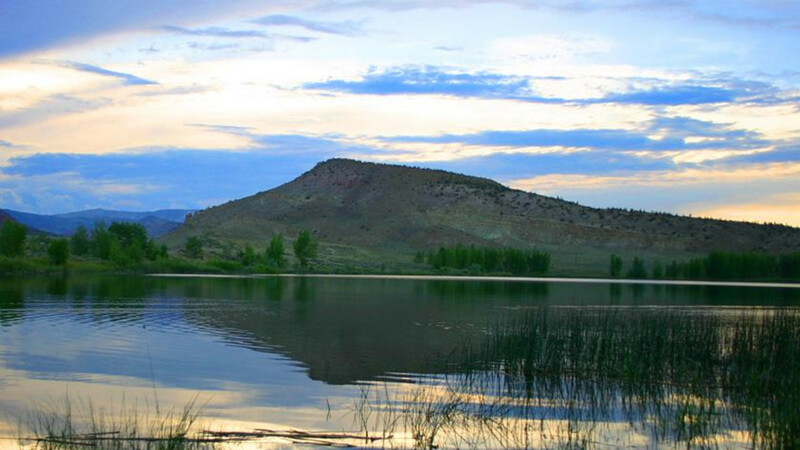 In addition, public access into the 720-acre Cottonwood Draw area is provided. Cottonwood Draw is managed to provide wildlife habitat and quality wildlife experiences for people. A unique feature of this area is its archaeological site. You are welcome to park, hunt or hike here, but take care not to destroy the site. Grayrocks is open all year. Wyoming Game & Fish Department 307-777-4600.